Tony Hillerman’s legacy has no end in sight. 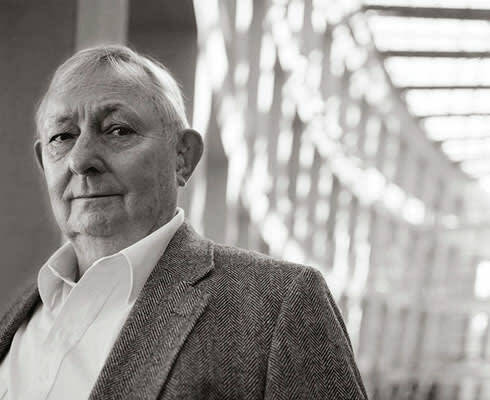 One of New Mexico’s most widely lauded and loved writers, Tony Hillerman, would have turned 90 this year. The bestselling author, who wrote more than 30 books, also taught journalism at UNM and contributed stories to New Mexico Magazine. His best-known body of work remains beloved to its legions of readers: the Joe Leaphorn mysteries, an 18-book series of Navajo tribal police procedurals, mainly set in the Four Corners area of New Mexico. Anne Hillerman, his daughter, triumphantly continued the series in 2014, with Spider Woman’s Daughter, a New York Times bestseller in both hardcover and paperback, which received the 2014 Spur Award for the Best First Novel and won two New Mexico–Arizona Book Awards. Her second Joe Leaphorn book, Rock with Wings, named after the Navajo term for Ship Rock, was released in May. One might consider reviving (and then some) a signature series to be a sufficient homage by a loyal daughter, but to celebrate Tony’s 90th birthday year, Anne has scheduled an ambitious series of events that, in line with her father’s reputation, embrace and support writers as they grow the Hillerman legacy. In addition to the Tony Hillerman Writers Conference, four new two-day workshops will debut (details below), and Albuquerque will proclaim October 4 Tony Hillerman Day, during Balloon Fiesta.